Why do we suffer from lack of focus, motivation, jumbled up thinking, unable to listen, and an in ability to remember anything? Why do you think that is? When there is physical clutter, for example, a cluttered work desk. We will see that there is no space to put another piece of paper on the desk without adding to the clutter. Until we organised the desk and deal with all the paper, will there be space to add another piece of paper to the desk, and we will have the ability to find it. In the same way, if the mind is cluttered, how can I have room to think, to remember, to take in new information and to focus? Obsessing over an issue, unable to find a solution. Worry / Fear for the future. Inability to let go of the past. Making a mountain out of a molehill, the task is not that hard, but make it bigger than it is. Lack of self-esteem and confidence. Inability to listen in a meeting, because of the chatter in our mind. Or we are too busy preparing our reply that we are not listening. Not enough sleep. Not enough good fresh food or not drinking enough water. So what we could try is the following. I know easier said than done. I only share what I have put into practice and what I have seen works for . I am not a life coach, nor a Councillor, nor a professional development expert. But, these have worked for me and they might work for you as well. Let go of the outcome. That is trust that whatever you do, you are doing your best and have the faith you/it will be okay. Put a full stop on unhelpful waste thoughts. Use affirmation to help you get past your blockages. Break the habits of negative cycles of thinking. Handle the feeling of being overwhelmed – Read my post Overwhelmed at Work – Simple tips to Manage. Journal your fears, worries, and also your affirmation and gratitude. Read my post on The Power of Journaling. Go to sleep before 10pm, every single day. Eat fresh food, drink water, and try to do some exercise. Don’t over think. Try to stop focusing on the issues, do something different. Learn to Meditate, draw, and cook, go for a walk. Just stop focusing on it as you make the issue much bigger. As Nike Say ” JUST DO IT”. 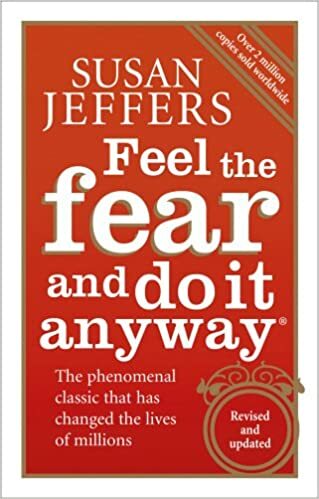 Bite the bullet and just do it. 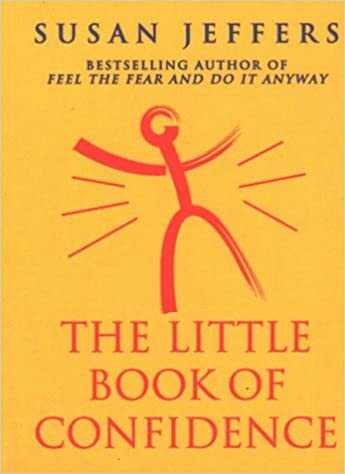 I would like to recommend a few books and cd’s I brought about 10 years ago – they helped me back then and I still read them from time to time now. 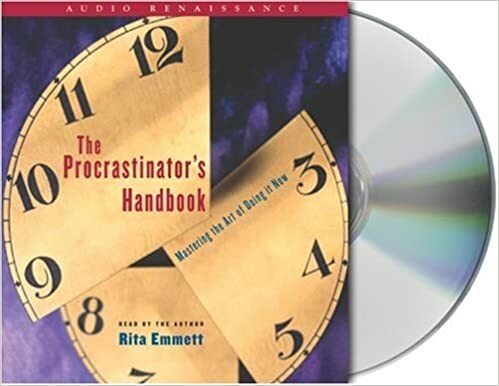 I constantly listen to the procrastinators handbook it is brilliant– did I mention I have a PHD in procrastinating ? Thank you of stopping by. Please Subscribe, Like, Comment, or Share. *This post contains affiliated links to Amazon UK – read disclaimer.